Stuck for gift ideas for a loved one who has everything? Has that same person spent any of their days in the dancehalls of the 50s and 60s, or can they appreciate good photography? Dancehall Days could be the answer to your conundrum. It is a collection of photographs by Michael O’Reilly, who was in the frontline when the best of the showband greats were playing and on-call to capture the best national and international acts that the movement had to offer. Beautifully printed images presented in a coffee table hardback book encapsulate a variety of styles from portraits to posed bands and candid action shots of acts on the go, performances and the high emotion of manic fans. Anyone who attended the iconic Television Club or venues from around the country like Bray’s Arcadia Ballroom will be searching the images of the crowds for their own faces or someone they knew. 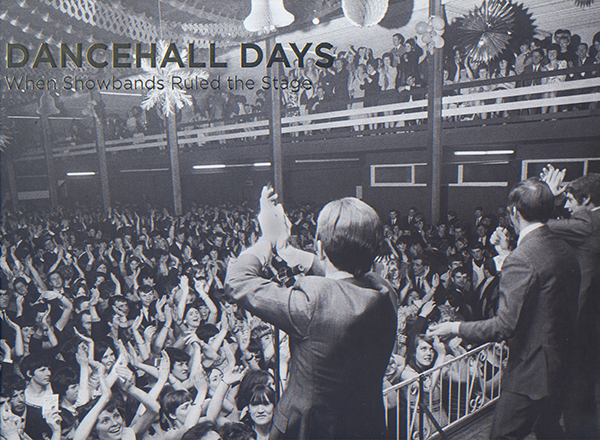 With an introduction from Shay Healy, Dancehall Days is entwined with a visual cultural narrative, perfectly illustrating the atmosphere brought about by the acts, fans and backdrop of that time that took Irish society from the doldrums of the 50s to the vibrancy of the 60s. Featured stars include The Drifters, The Dubliners, Phil Lynott and David Bowie.